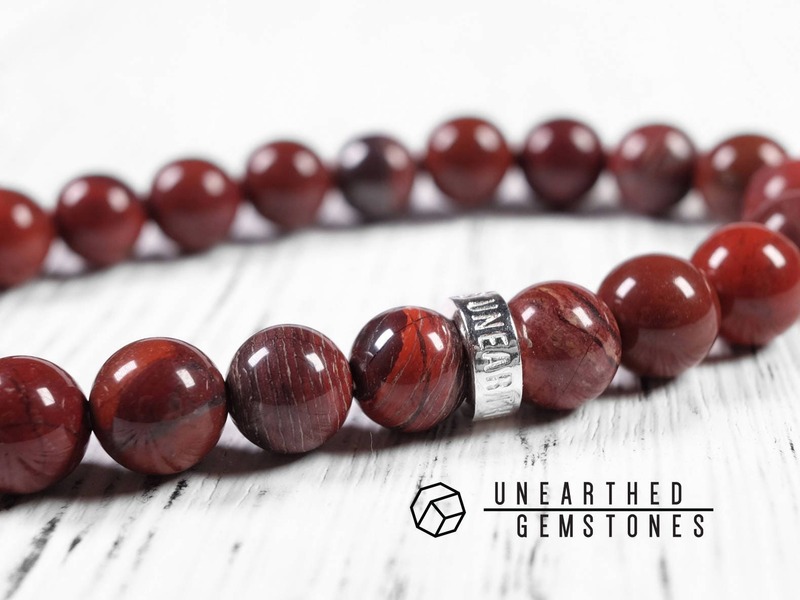 This natural red brecciated jasper is closely related to red jasper but with more intricate brown and yellow pattern mixed in. 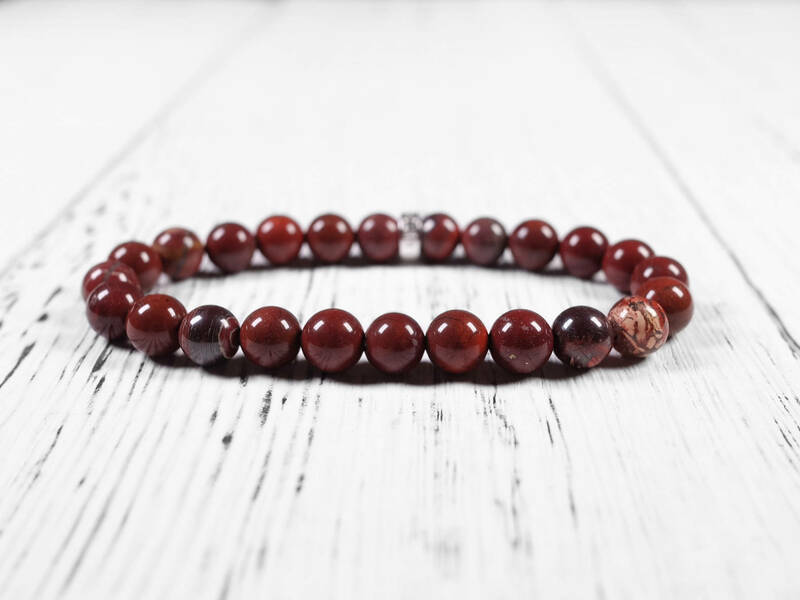 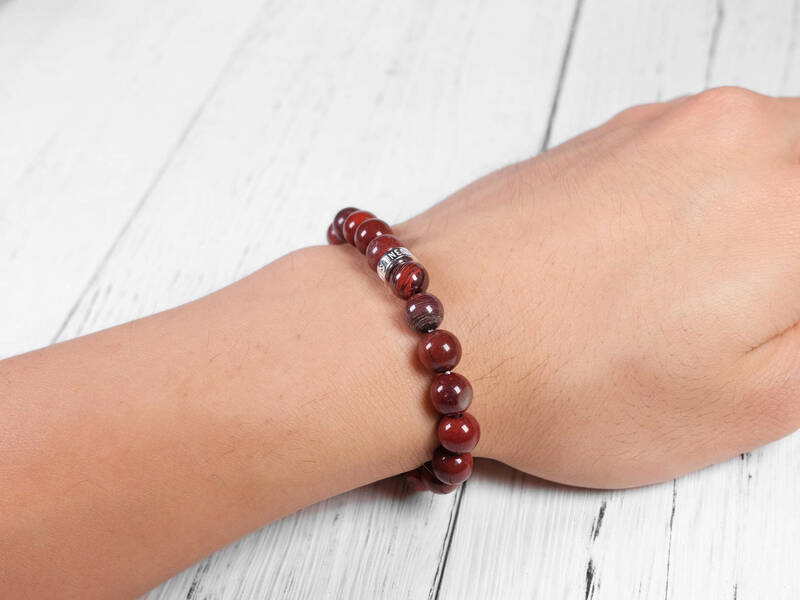 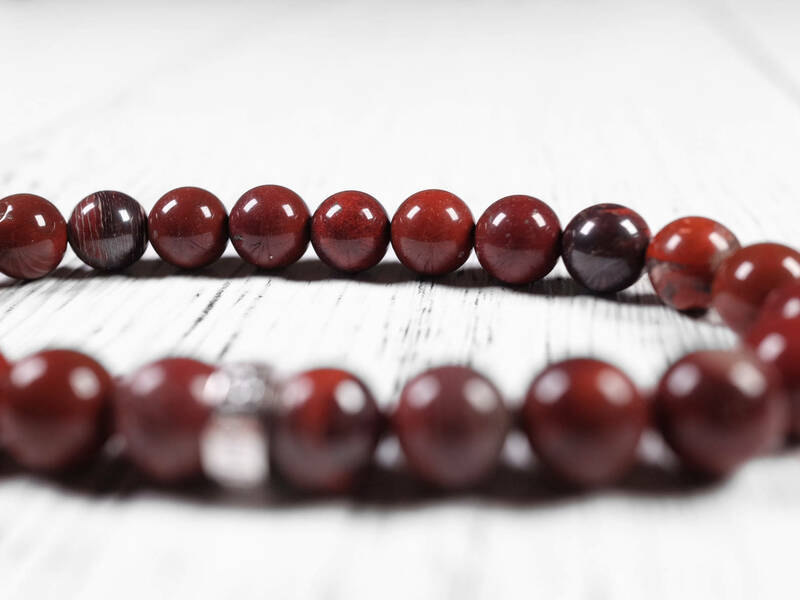 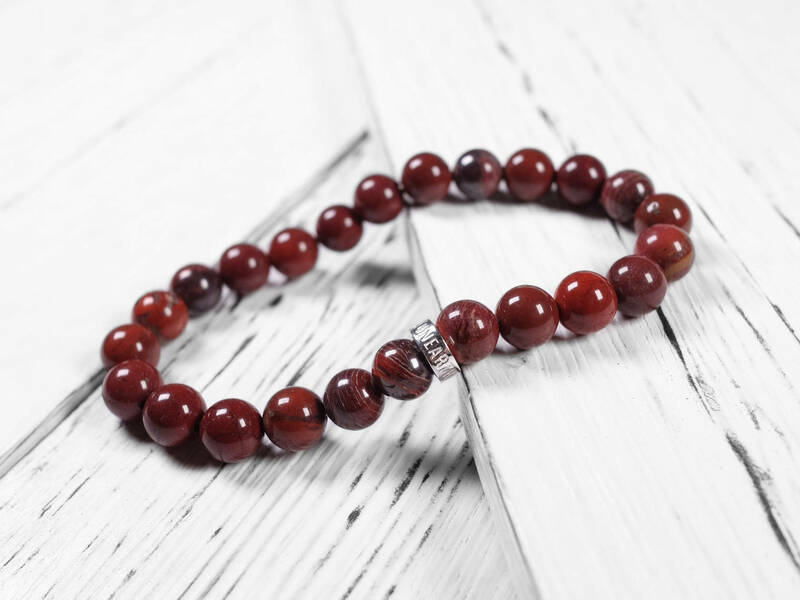 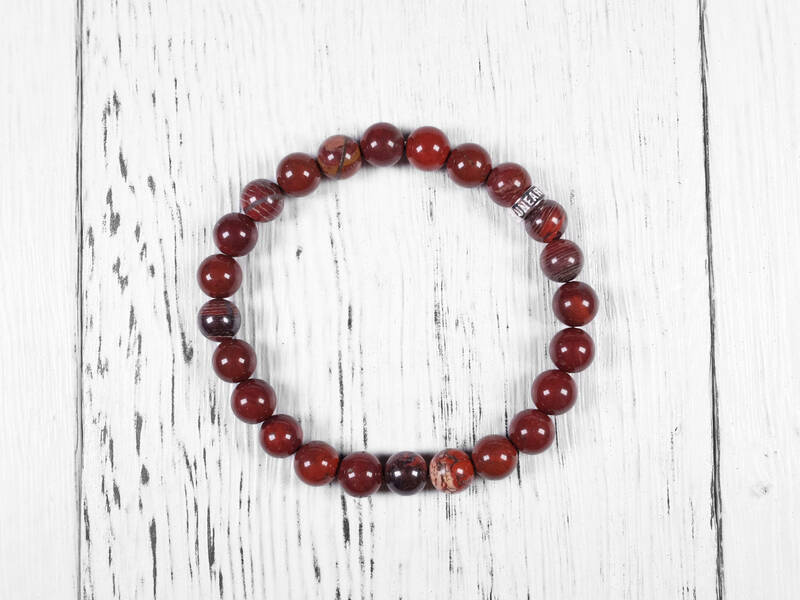 With the Unearthed Gemstones sterling silver, this is a great way to wear this maroon red gemstone. 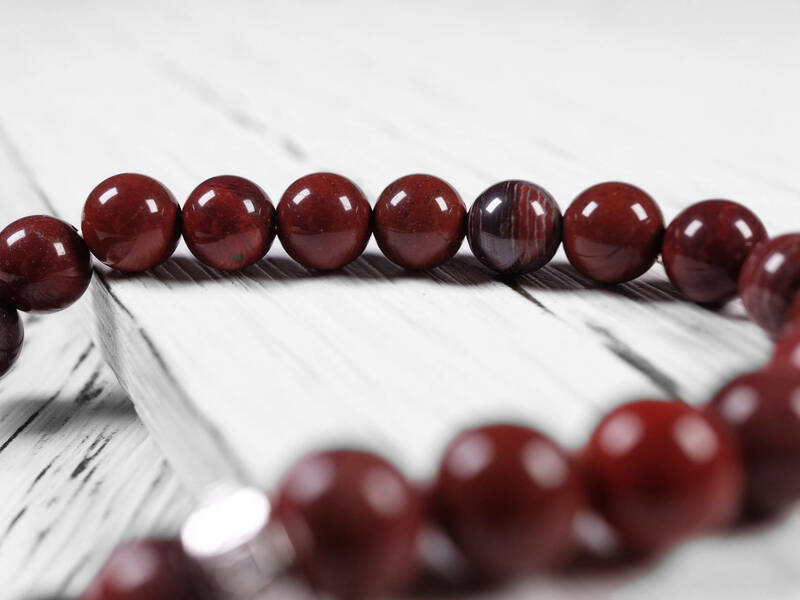 Beads are better than pictured. 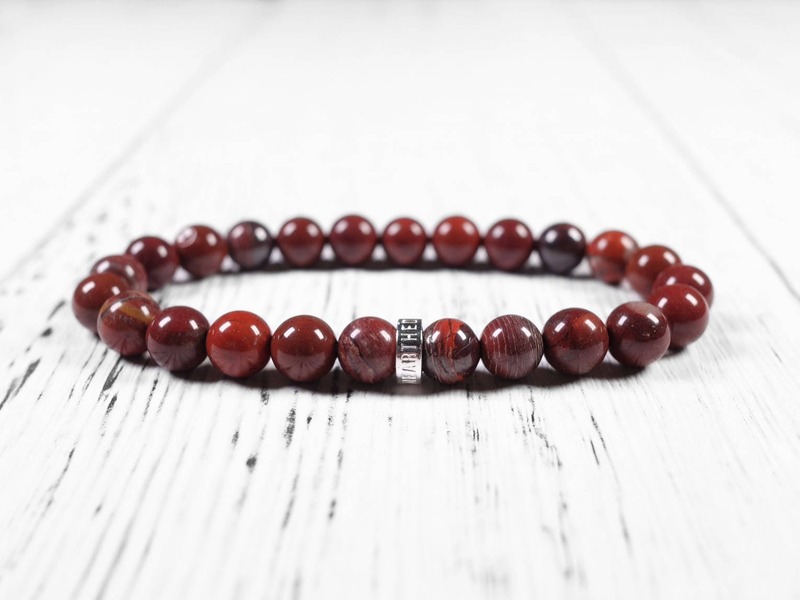 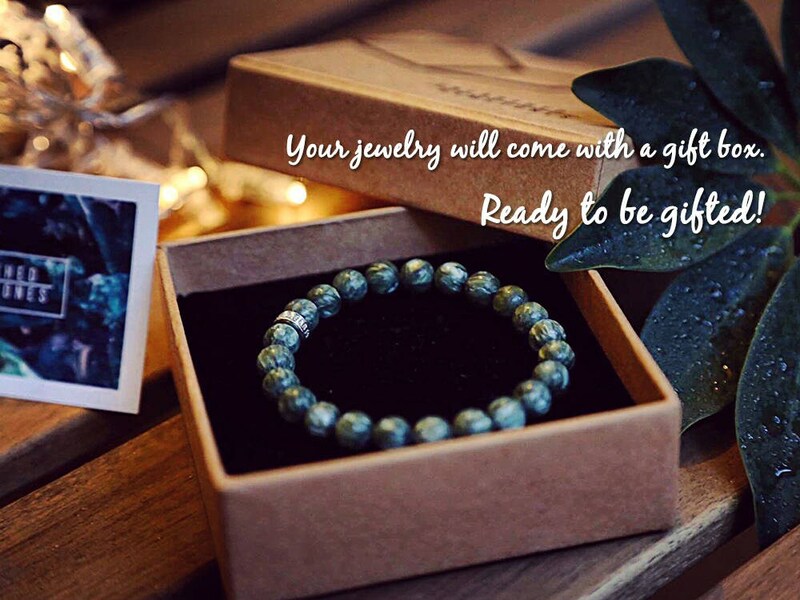 Great bracelet for a great price.